Purchase mortgage application demand saw the second highest weekly increase over the last year and thanks to a spike in refinancing activity, overall mortgage demand rose to the highest level since the fall of 2016. While the housing market has faced many head winds the last few months, it sailed through the turbulence to calmer seas with demand buttressed by a strong labor market and low mortgage rates. 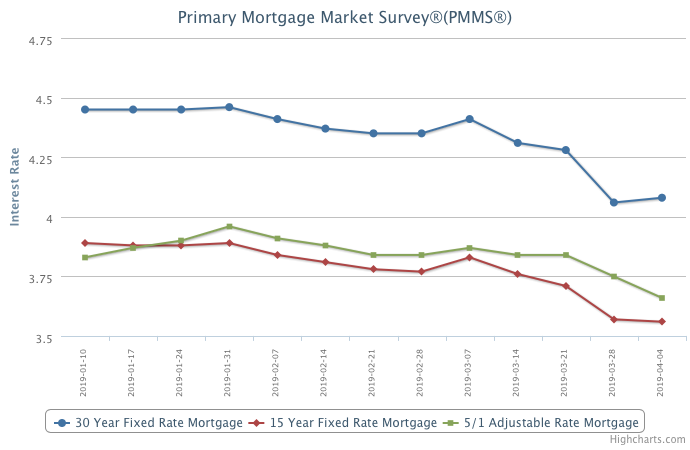 The benefits of the decline in mortgage rates that we’ve seen this year will continue to unfold over the next few months due to the lag from changes in mortgage rates to market sentiment and ultimately home sales. Information provided by Freddie Mac. My fiancé & I purchased our 1st home thru Joe Kasel. We had a great experience start to finish!